Sharing The Joy On KTVU Channel 2 News! Last week Megan and I joined the Morning Team on KTVU Channel 2 News. 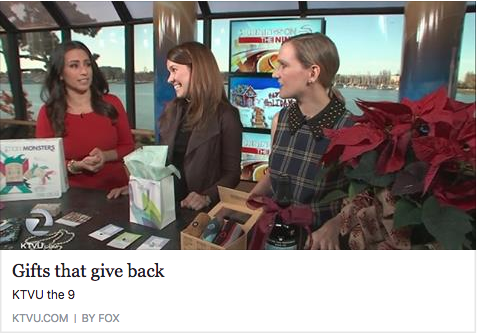 Watch us talk about our favorite holiday gifts that give back locally and globally below. Posted on December 5, 2016 by Kimberly Gant and filed under Style Stories and tagged KTVU Holiday Gift Guide.